In the 1970s, J.J. McRoach ran for parliament as candidate for the Australian Marijuana Party. He had an advertising campaign funded by an anonymous dealer. His party came fourth in the elections. In 1986 Nick Brash ran for the "Marijuana Party" for the Kiama NSW by-election against ALP heavy-weight Bob "Bobo" Harrison. Then in 1987 Nick Brash ran in the Heathcote NSW by-election with 13 other candidates including the infamous Rex "Buckets" Jackson. This campaign was partly funded by the late John Marsden, solicitor and outspoken civil libertarian. In the 1988 NSW State Election he joined Macciza Macpherson in running for the Legislative Council Soon after, the electoral laws were changed requiring all political parties to prove a membership of 500 enrolled voters, an impossible task for the Marijuana Party. The independent HEMP Legalise Marijuana party continues to run in the upper house in South Australian state elections, with their best result being in 1997 when they received 1.7% of the vote, beating relatively popular parties such as the SA Greens and the SA branch of the National Party of Australia. The Party was founded in 1993 and has a constitution, which describes an organisation with the aim of endorsing candidates to contest elections to the Federal Parliament of Australia. Several applications later the AEC has assessed the party as meeting the test of being a political party under s4 of the Electoral Act. On 17 June 2010 the delegate determined that the party's application had passed its initial consideration for registration and the application was advertised for public objection on 23 June 2010. The issue of writs on 19 July 2010 for the federal elections meant that no further action could be taken on this application until the final return of all outstanding writs on 17 September 2010. No objections to the registration of the HEMP Party were received. The AEC assessed the party's application against the technical requirements in s126(2) of the Electoral Act. The application meets the technical requirements in s126(2). The delegate of the Australian Electoral Commission determined that the HEMP Party should therefore be registered under the Commonwealth Electoral Act 1918. Liberal Alliance are in favor of cannabis legalization. This is the case for both medical and recreational. "I want a state regulated sale of cannabis, like the state regulates alcohol and cigarettes. That way, we have a better control of which drugs are on the market, and that they aren't sold to kids." - Christina Egelund. Alternativet are in factor of cannabis legalization. This is the case for both medical and recreational. "This is a great way to take a stand against criminal gangs, decriminalize normal Danes and to secure that there aren't any dangerous chemicals added." - Josephine Fock. Socialist People's Party are in factor of a regulated legalization of cannabis. "Today, some people smoke way too much cannabis and get problems, but we doesn't help them by punishing them, when they in reality need help. We should treat cannabis like alcohol, and focus on the one's, who get addicted." - Lisbeth Bech Poulsen. Red-Green Alliance wants to legalize cannabis sold and produced by the state. "It will secure that criminals can't make money off the import, nor make money off the illegal sale of cannabis. The money, the state makes off the sale, shall be used on information, treatment for the addicts and welfare benefits, instead of giving the money to the criminals" - Rune Lund. As of 2015, there have been ongoing attempts for the establishment of the Cannabis Party of Greece, but they haven't resulted in the creation of a registered political party yet. In Ireland, there were attempts to establish a Cannabis legalisation Party however the government have so far refused to allow any such parties to be registered. A number of individuals including journalist Olaf Tyaransen and Phoenix Park festival organiser Ubi Dwyer have stood in various elections (national, Local and European) as independent candidates on a legalise cannabis platform. The only success to date has been the election of Luke 'Ming' Flanagan to The Dáil in the 2011 General Election although it is generally accepted that Flannigan's success was also mainly due to his stance on other political issues. In New Zealand, the Aotearoa Legalise Cannabis Party ran for the first time in 1996. They have never had any Members of Parliament, but have averaged around 1% of the popular vote - one fifth of what is necessary to gain MPs under New Zealand's proportional representation system. A former member, Nándor Tánczos, was an MP as part of the New Zealand Green Party (1999–2008). (He was also New Zealand's first ever Rastafarian Member of Parliament). The party had candidates in the 2008 general election. The Green Party of Aotearoa New Zealand has said that if it forms a government in the 2017 election it will legalise cannabis. 'Under its proposal, people would be able to legally grow and possess marijuana for personal use'. The party would also 'urgently amend the law so sick people using medicinal marijuana were not penalised'. The nationally registered political party Iqela Lentsango: The Dagga Party of South Africa is South Africa's first and foremost Cannabis legalization group. This group are also activists and supporters of people arrested, charged and/or imprisoned for the possession of dagga (the South Africa word for Cannabis) and related charges. In January 2004, cannabis prohibition in the UK was relaxed. 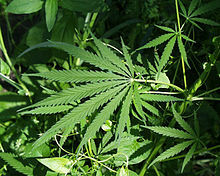 Cannabis had been a class B substance under the Misuse of Drugs Act 1971. It became a class C substance, and many people saw this change as virtual 'decriminalisation'. It was a long way short of full legalisation. It has recently returned to a class B substance. 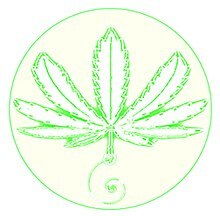 The de-registered, Legalise Cannabis Alliance, adopted a new identity as CLEAR - Cannabis Law Reform, in 2011. Upon this identity change there was also a change of policy, spokespersons, logo, emblems, fliers and aims. CLEAR was a registered political party from 2011–2013. The organisation now works as a lobby group. Cannabis Is Safer Than Alcohol (CISTA) was a political party founded in 2015. In the 2015 General Election they campaigned for a Royal Commission to review the UK's drug laws relating to cannabis. CISTA is for harm reduction. The party was deregistered by the Electoral Commission on 3 November 2016. ^ "Help End Marijuana Prohibition: HEMP Party". Australianhempparty.com. Retrieved 2011-04-20. ^ Greens propose full legalisation of cannabis. The Guardian. Author - Paul Karp. Published 16 April 2018. Retrieved 7 June 2018. ^ Greens want to legalise cannabis for all adults. The Sydney Morning Herald. Author - Eryk Bagshaw. Published 16 April 2018. Retrieved 7 June 2018. ^ Greens announce plan to legalise cannabis to take it 'out of the hands of criminals and dealers'. Australian Broadcasting Corporation. Authors - Matthew Doran and Lucy Barbour. Published 17 April 2018. Retrieved 7 June 2018. ^ "Green Party | Caroline Allen: UK drugs legislation 'is failing us all'". www.greenparty.org.uk. Retrieved 2016-11-18. ^ "Scotland can support people addicted to drugs:". Scottish Greens. 2016-03-04. Retrieved 2016-11-18. ^ Steinberg, Oliver (October 3, 2016). "Third- or even fourth-party candidates can play key roles". Star Tribune. ^ Minnesota Secretary of State (November 1988). "Minnesota Election Results 1988, p. 18" (PDF). Minnesota Legislative Reference Library. ^ Klein, Patricia A. (June 1993). "Federal Elections 92: Election Results for the U.S. President, the U.S. Senate and the U.S. House of Representatives, p. 9" (PDF). Federal Election Commission. ^ Bickford, Bob (October 7, 1998). "1996 Presidential Election Results by State". Ballot Access News. ^ a b Shea, Kevin (April 30, 2016). "NJ Weedman's long, strange trip as marijuana advocate". NJ.com. ^ Worth, Robert (November 7, 2002). "The 2002 Elections: Smaller Parties". The New York Times. ^ a b c Franklin, Terry (October 5, 2010). "Pro-Cannabis Candidates in the Northeast". Shadow Proof. ^ a b Hanson, Alex (August 25, 2016). "Weekly politics wrap-up: Ballot access in Iowa". Iowa State Daily. ^ a b Stassen-Berger, Rachel E. (August 24, 2016). "Don't like Trump or Clinton? You have choices". Pioneer Press. ^ Jordan, Spike (May 12, 2017). "Legalize Marijuana Now advocates petition to get pro-marijuana third-party on the ballot". Scottsbluff Star Herald.